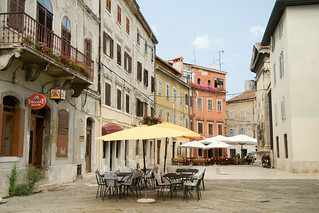 Pula is situated at the southern tip of the Istrian peninsula on the Adriatic Sea, in the northern part of Croatia. 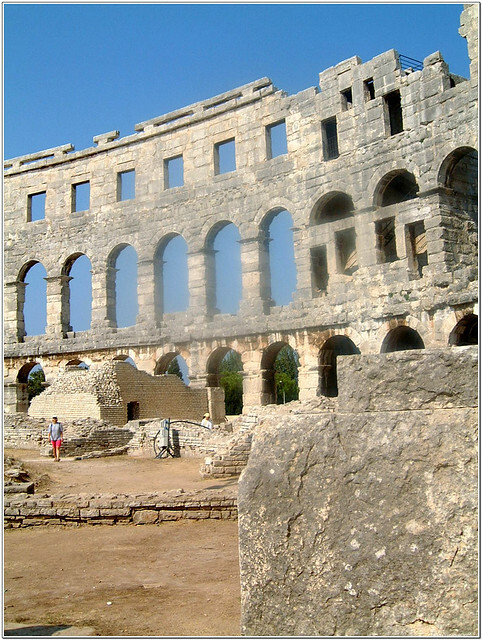 The main attraction in Pula is the Roman amphitheatre, the exterior circular walls of which are very well preserved. It’s the venue for the Histria Festival held during July and August with crowd pulling acts such as Elton John, Pavarotti and Norah Jones. There’s plenty more evidence of Roman occupation in Pula, with Sergio’s Arch and the temples in the main square. Pula offers great nightlife, with Aruba and Club Uljanik being two of the best known clubs. 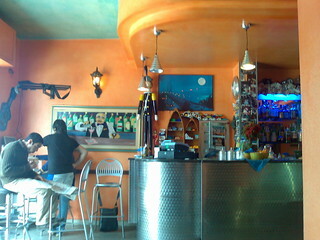 There’s also a good selection of bars and cafes. 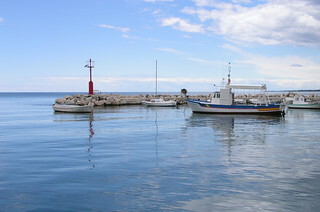 You really must try some of the local seafood in Istria with specialities such as squid risotto. If you also look for a restaurant with a sea view, you’ll be in a for a real treat. 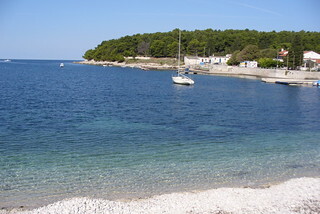 You have to travel outside Pula to find beaches, the closest being at Verudela. Most of the beaches in the area are pebbly. There’s a good beach at Fazana, around 6 miles from Pula, which is also the place where you catch the ferry for the Brioni National Park. There you’ll find a zoo and a museum about Tito, the former Yugoslavian ruler. I’d recommend a visit to the town of Rovinj. There’s a regular bus service between Pula and Rovinj, if you don’t have a hire car, with a journey time of around 45 minutes. There are great views from the sixty metre tall Venetian bell tower of the Church of Saint Euphemia. If you’re into wine, one of the four Istrian Wine Trails takes in Rovinj, Vodnjan and Valbandon, which can be combined with a day trip to the towns. 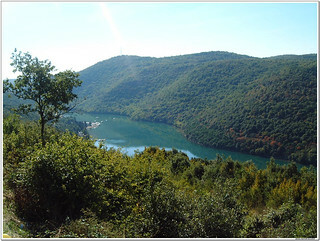 Also try to stop for a few minutes at the Limski Fjord, where the 1960s Viking themed movie “The Long Ships” was shot.